With 3D Technology we can now enhance the patient experience with fast, accurate real colour impressions. At Smilleville Orthodontics we continually invest in the latest technology to offer our patients the best care possible as well as greater treatment opportunities. 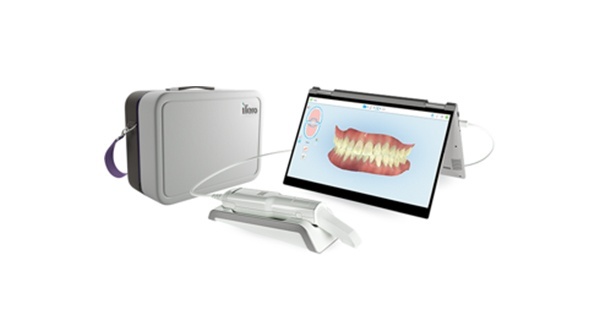 Our new Itero Element Scanner allows our staff to take accurate tooth and mouth impressions saving the patients’ time and having to undergo the discomfort from conventional dental impressions. How does an intraoral scanner work? 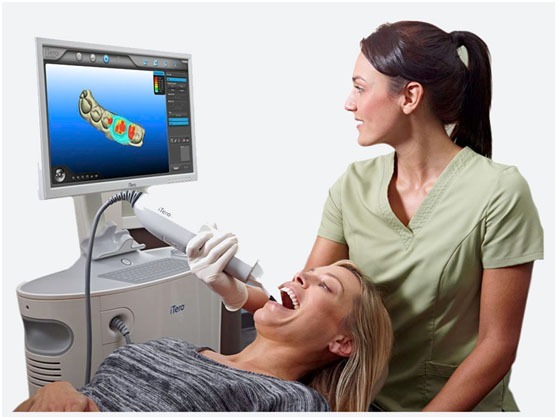 An intraoral scanner takes ‘impressions’ of your teeth, which is basically another word for image. What makes the iTero better than other scanners? 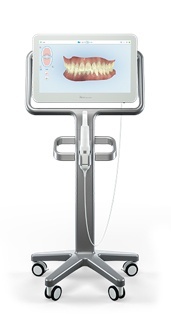 The iTero scans in colour, which allows us to easily tell out patients’ dental tissue apart from their gum tissue. This allows us to evaluate our patients with greater precision. The iTero automates certain steps during the interoral scanning process. This speeds up the process of interoral scanning, which means you’ll spend less time in the dentist’s chair. The iTero is faster and higher in precision than many other interoral scanners. If you are nervous about visiting the dentist and having conventional dental impressions made, or would like to know more about how we can improve your comfort, please call the practice and our friendly staff would be more than happy to answer any of your questions. 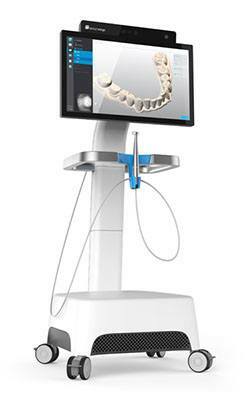 This is a wand device which again will help give the orthodontist quicker and the right results for you. It performs crisp, full-color, high-definition 3D scans in as little as 60 seconds.